The Aspens - Upper Village - On Blackcomb Mountain - Excellent Location! Come play and relax in this updated 1 BR/1BA suite located in the Aspens complex. The Aspens neighbours the Fairmont Chateau & Four Seasons Resort. Its walking distance to both the Upper Village (3 mins), Main Village (8 mins) and the Fairmont Chateau Golf Course (12 mins). In the Upper Village, you will find shops, restaurants and pubs. The heart of Whistler Village is a short scenic walk through the trails or take the free shuttle from the lobby. There are many beautiful nature trails from the property, including High Note trails, as well as, Lost Lake, which is a perfect swimming spot during the summer. The Upper Village children's park provides lots of fun for kids during summer, including mini-golf. Vail has invest 66 million dollars in a new world-class, 10-person gondola, accessed just outside of our courtyard! The on-site equipment rental shop is stocked with everything you need to enjoy your day on the mountain. The Aspens boasts free valet ski storage. In the summer, there is a bike valet or secure bike storage on P1 and P2. This cozy condo has a fully equipped kitchen, gas fireplace, 44'' HDTV in the bedroom and a Smart 42'' HDTV with blue-ray and Netflix app in the living room, Wi-Fi included. The south facing sunny patio has breath-taking pool, mountain, and gondola views and is equipped with a BBQ. A queen-size Murphy wall bed installed in the living room sleeps two, a sofa bed sleeps two and King bed in bedroom sleeps two. The unit is suitable for two to four adults or one family, and seats up to six at the dining table. Year round resort amenities include laundry facilities, a fitness center, three hot tubs and a large heated pool. There is an A/C and fan in the bedroom. Access is by email door code, no key pick up required! Underground secure pay parking is available for purchase in the lobby. Hello! I started managing this unit with my family since 2013. I am happy to provide you with the highest quality customer service. I hope you enjoy your stay with us and if you have any questions please email us via VRBO. Thanks! 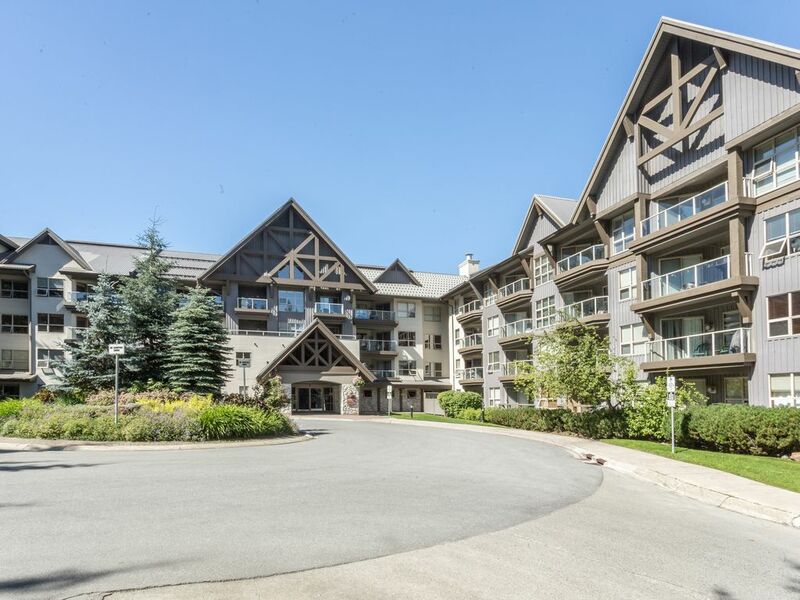 We bought this unit in The Aspens because it is the best location in Whistler, with quick access to the gondola and a short walk to the Village or the Lost Lake. My wife and I have always enjoyed skiing and we have great memories teaching our two girls how to ski when they were younger. Air conditioner in the bedroom. There is a laundromat in the building. Many books are available in a conference room. Clean, close to everything, always staffed. I enjoyed the hotel feel in an independent owner condo area. We stayed in this condo Sun-Wed and really enjoyed our stay. We like staying in the Upper Village, away from the hustle and bustle of the main village. And it is truly a ski in/ski out location. The kitchen is well-stocked and the bed and furnishings are comfortable. It has a Murphy’s bed but we did not need it. The only issue we had was the Smart TV was not working correctly so we couldn’t access our Netflix account, but that was a minor problem and Catherine, the owner, was quick to try to help. Thank you for the positive review! Happy to have you stay with us again. We loved it all...probably lucked in with a big dump of snow but used the hot spa every night, skied straight out, Super helpful staff, especially the ski valet! Location amazing. Great unit suited all our needs. Would definitely stay again. Thank you for the positive feedback. We’re thrilled you have a great time :) Mention you are a repeat guest for your next booking for a special rate. We stayed at The Aspens for 5 days in late August. Suite was clean and beds were comfortable. Our kids loved the pool and hot tubs. The front desk staff were always helpful with directions and suggestions. Short walk to the village. Would stay here again. Spacious, clean and well stocked holiday home. We had owned a Townhome in Whistler for 20 years, and this condo. fellt just like "coming home" to Whistler again. Please Note: The default currency on VRBO is in USD not CAD. Rates are subject to change until reservation is confirmed.